Most herbs are easy to grow in well-drained soil and bright light, and parsley is no exception. 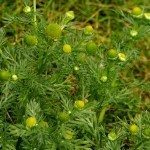 This common herb has a rich history of use for flavoring, medicine, ritual purposes and it even freshens your breath after a meal. Wilted parsley plants may represent a water issue or even disease. Refreshing wilted parsley might be as simple as providing water, but be cautious. Too much moisture can have a similar effect and may promote rot, a condition the plant can’t overcome. You’ve planted a variety of herbs in your cottage garden or a window box and now it’s time to let them flourish and begin using them in your favorite dishes. One day you look out the window and wonder, “Why is my parsley plant wilting?” Site conditions, lighting, moisture levels, disease, damping off and even failure to harden off seedlings can cause limp leaves and stems. Put on your Sherlock Holmes hat and let’s walk through a few possible causes and solutions. If young plants are wilting, it may be a symptom of damping off or you may have forgotten to harden off seedlings. Damping off is caused by a fungus that favors overly moist, warm conditions. Often grayish fuzz will appear at the base of the plant, which will eventually rot off the stems, separating them from the life-giving roots. Wilted parsley plants may also come about due to improperly exposing new plants to the outdoors. Indoor grown seedlings require some time to adapt to outdoor lighting, wind and temperature circumstances. Gradually exposing them to the outside setting will give them a chance to adapt and prevent stress, sun and wind burn and other issues. 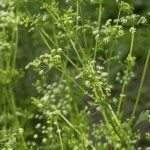 A few diseases are the cause when a parsley plant is wilting. Stem rot and leaf spot will cause yellowing foliage and eventually limp leaves. Destroy these plants. Parsley is fairly easy to grow provided the soil drains freely and the plants get adequate light. Plant parsley in moist, rich soil that has been loosened deeply. This will promote deep rooting and help plants uptake water and nutrients. Spread mulch loosely around the plants to prevent weeds and conserve moisture. Parsley likes consistent moisture but cannot tolerate boggy soil. Keeping the soil evenly moist will make for happy plants, but too much or too little water can cause wilting. Full sun locations in the summer may also see limp leaves and stems appearing during the middle of the day. This is because the plant is evaporating more moisture than it can uptake. Watering them is not always the correct response to refreshing wilted parsley. Try shading them during this time of day. Usually the plants perk up in the evening and morning. Container grown plants need more water than those in the ground. Check the soil to a depth of 3 inches with your finger. If it is dry, water until the pot leeches the soil through the drainage holes. You may also want to move the container to a lower light situation in the hottest part of the summer. If soil doesn’t drain freely, wait until the cool of evening and dig the plant up. Incorporate some sand or other gritty matter to increase percolation. Replant the parsley and water it in. It may seem wilted for a few days due to shock but should eventually recover.